If there is one thing that is almost as Thanksgiving-y as roasted turkey, it has to be green bean casserole. Created back in 1955 by Campbell's, the invention of the creamy green bean casserole topped with french fried onions started out as a way for the soup company to sell more cream of mushroom soup. Inspired by many Midwest dishes, cream of mushroom soup was sometimes called the "Lutheran binder" for its use in various casseroles. The addition of frozen beans turned this casserole into an American staple and with it, Campbells Soup estimates that 40% of condensed cream of mushroom soup is sold specifically for green bean casseroles. 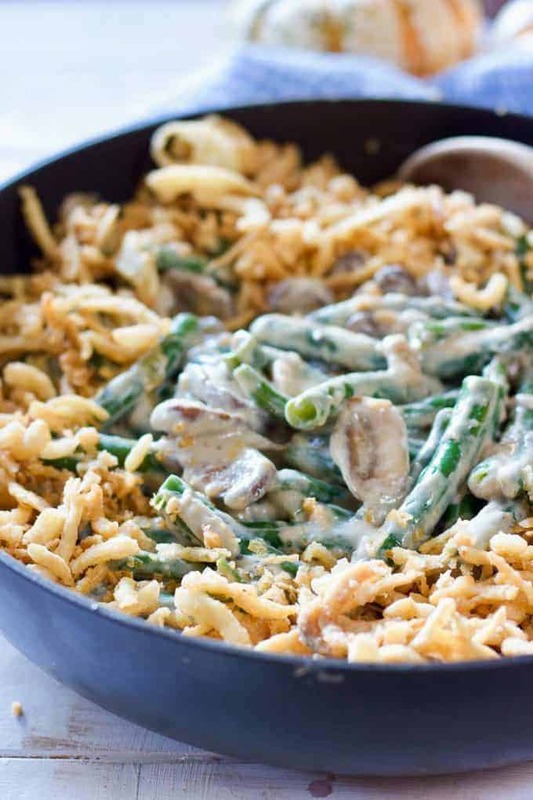 And while we love the classics, some food bloggers have created inspiring green bean casserole recipes that turn the traditional original recipe on its head. Loaded with tomatoes and diced chilies along with soy sauce and black pepper, this Southwestern-inspired casserole is a fun alternative to the classic green bean casserole. 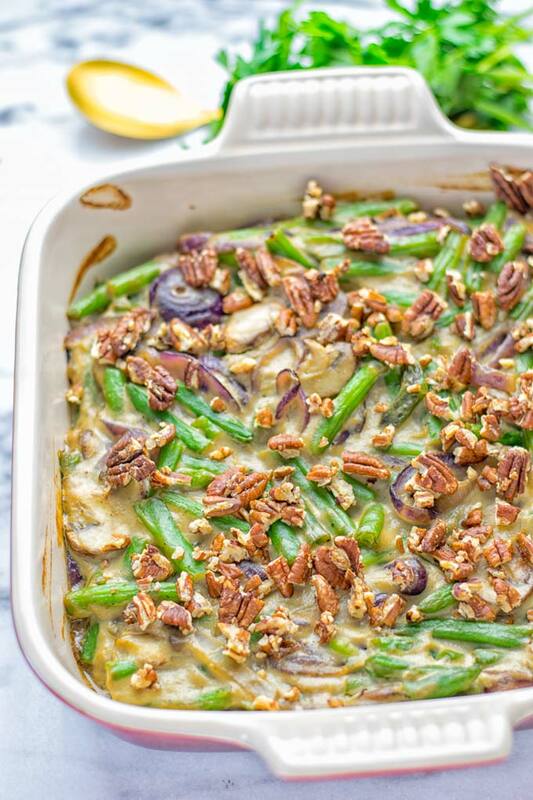 If thinking outside of the box is your style, this fun rendition of the green bean casserole is for you. 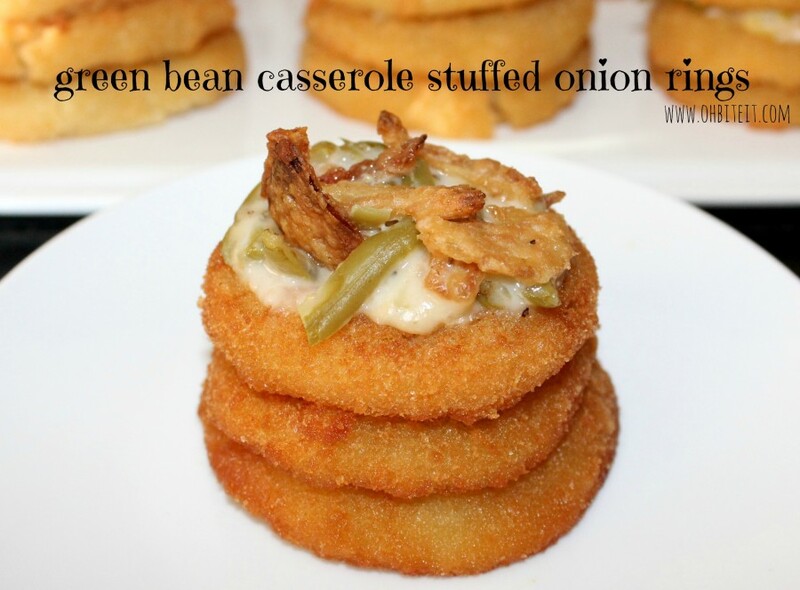 Simply cook up some crispy onion rings and stuff with the green bean mixture. Refined and nutty, this Southern side dish has earned its place next to the turkey and the mashed potatoes. The best part is that this dish is vegan and gluten-free, making it a welcome addition to any table. Golden brown and crunchy, this Cajun casserole gets a kick of spice from paprika. This recipe uses frozen beans, making it a snap to put together when the family is visiting. Toss out that baking dish for these green bean and cheddar cheese crispy bites. These golden brown onion rings are packed full of fresh green beans and fried onions, then fried to perfection. Make the sriracha sauce to go on the side and these fried patties will be the first to go. Three ingredients and this casserole is ready to roll. Simply cut green beans and toss them in a casserole dish with a can of condensed cream of mushroom soup. Top with toasted almonds and you've got yourself a side fit for the Thanksgiving table. Delicious recipes are passed down from generation to generation and this casserole is no exception. This casserole is all about traditions- from a cremini mushroom filling down to a crispy fried onion topping. Try not to eat the entire thing before sharing with the rest of your family. Let's get a little bit French in here! Braised green beans are mixed with a porcini and shitake mushrooms for a refined taste on a classic American dish. It takes about an hour to cook, so give yourself ample time to prepare this side. Adding wild rice to a traditional green bean casserole is the perfect way to stretch a dish. This dish can be served any time of the year. Cooking a big feast requires you to time everything out perfectly. Take some of the guesswork out of it by using a slow cooker that'll cook your food low and slow like this white cheddar green bean dish. 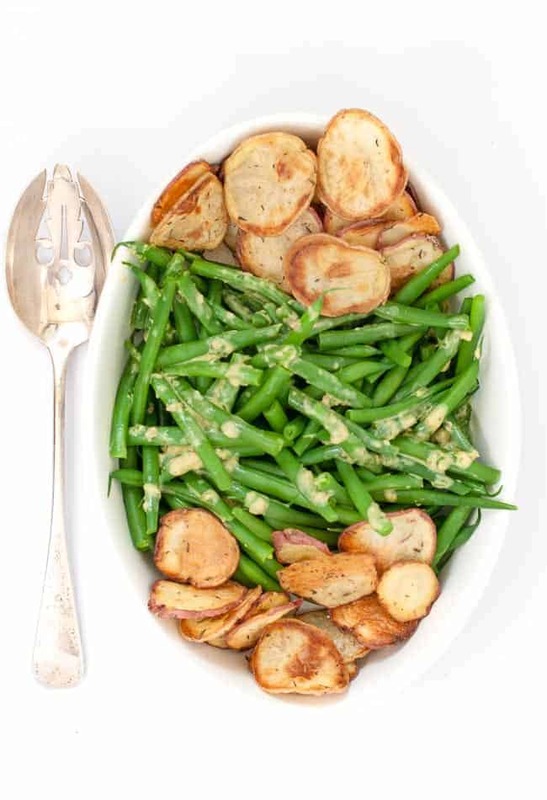 Lighter than the original, this green bean inspired dish is dressed in Dijon mustard, shallot, and white wine vinegar. In place of crispy onions, make your own potato chips topped with fresh thyme. 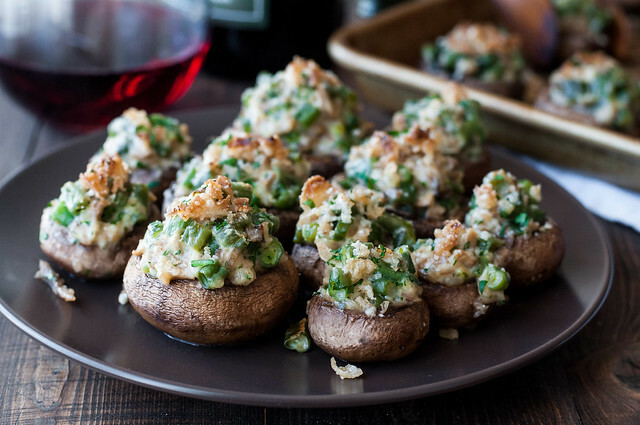 Turn your casserole upside-down with these green bean stuffed mushrooms. The mushrooms are destemmed and loaded up with frozen green beans and a homemade cream of mushroom sauce then topped with French fried onions. Yum.